Victoria 18 carats gold pendant with a drop shaped white cultured pearl. 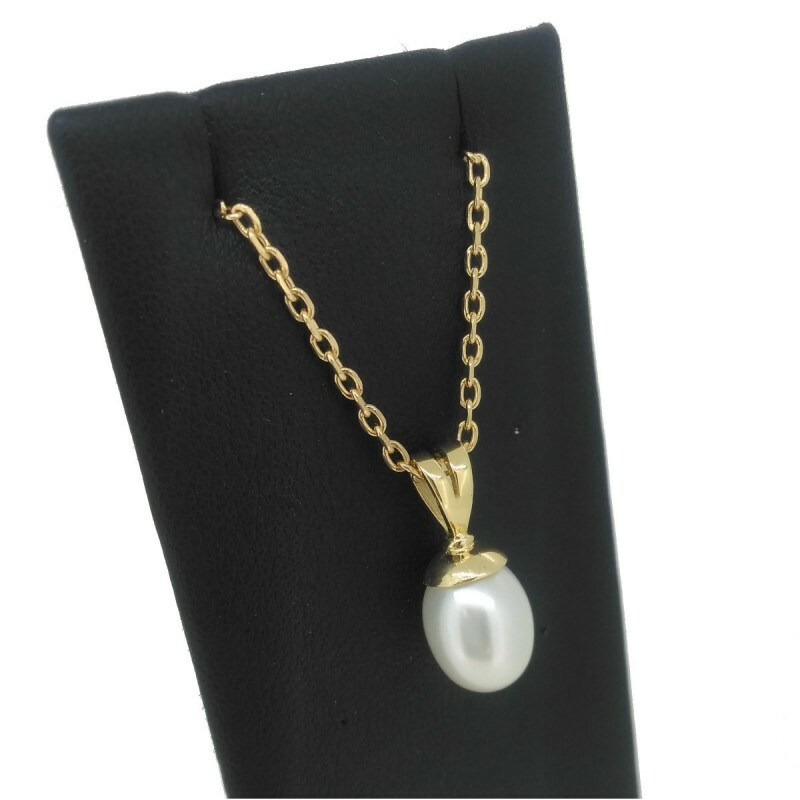 Treat yourself to the Victoria pendant, allying the noble 18k gold with a drop-shaped white freshwater cultured pearl. A simply, yet timeless luxurious design. The pearl is a white freshwater cultured pearl presenting a drop shape, 10-10.5mm in diameter. By buying this product you can collect up to 27 loyalty points. Your cart will total 27 points that can be converted into a voucher of 8 €.